With my love for lip products the last few days of this advent calendar are a real treat and exciting to open. Today and tomorrow both show themselves to be lipstick shaped windows and with the variety of shades provided already I had no idea what to expect. Luckily, from my point of view, the offering today is one that doesn’t scare me and actually looks delightful. It’s a shade of lipstick that mainly shouts to be a colder month shade as it provides warmth and colour as well as depth. I’m an absolute sucker for anything purple or with purple tones and therefore I love how this looks in the solid form. But after yesterday where a red came out to be very pink I had no idea what to expect. 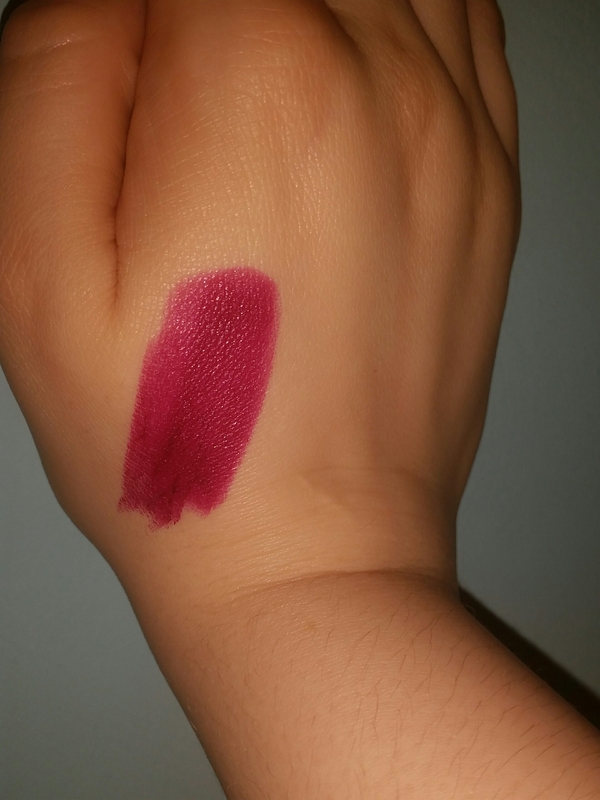 But this swatch does not disappoint as it provides a lovely warm purple shade with red undertones. 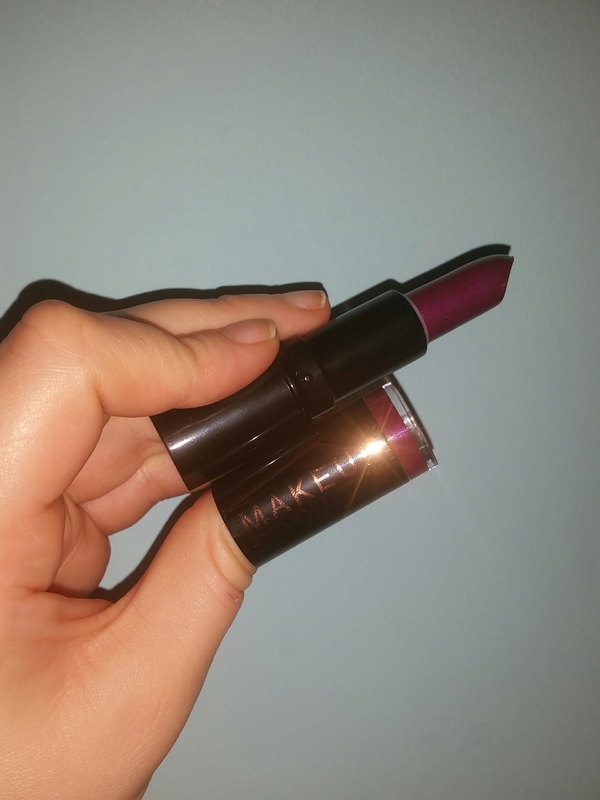 It applies beautifully and soft to the lips whilst appearing more on the matte side of the lipstick scale. I really look forward to finding the right look to wear this lipstick over the coming few months. I can see this shade, providing I have the chance to wear it, becoming one of my winter favourites. Super comfortable to wear and a great shade making todays door a real winner.